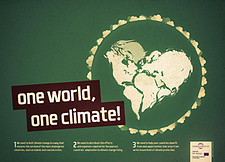 Germanwatch Climate Posters | Germanwatch e.V. 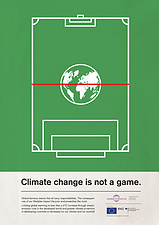 Various posters concerning climate change, climate protectionn and trade policy. You are able to order them from us or download them and print them out yourself since these files are provided in high quality resolution. 1. If you´re still wondering what your flight to Dubai has to do with natural disasters, you haven´t connected the dots! 2. If you´re still wondering what your SUV has to do with social injustice, you haven´t connected the dots! 3. If you're still wondering what your T-bone steak has to do with desertification, you haven´t connected the dots!